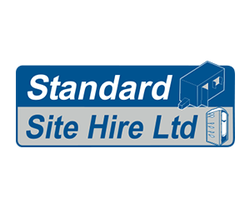 Standard Site Hire, working alongside Standard Plant Hire for all site requirements - WELFARE UNITS, PORTABLE TOILETS, HERAS FENCING AND MORE. With our own service truck we offer a high service and hope to be able to fulfil any requirements. ﻿﻿Copyright © 2016 Portable Sanitation Europe Ltd, 6 Tamar Drive, Keynsham, Bristol, BS31 1PP. United Kingdom.